The inflation of a hot air balloon takes about 45 minutes. The balloon lining is first stretched on the ground and a big fan blows it with cold air. Next, a gas igniter blows hot air inside and that makes the balloon rise. The more hot air is blown inside, the faster will the balloon rise. The flight is very smooth once off the ground and the balloon is carried by the wind. There are magical moments of serene silence, only from time to time interrupted by the igniter that keeps the balloon in the air. 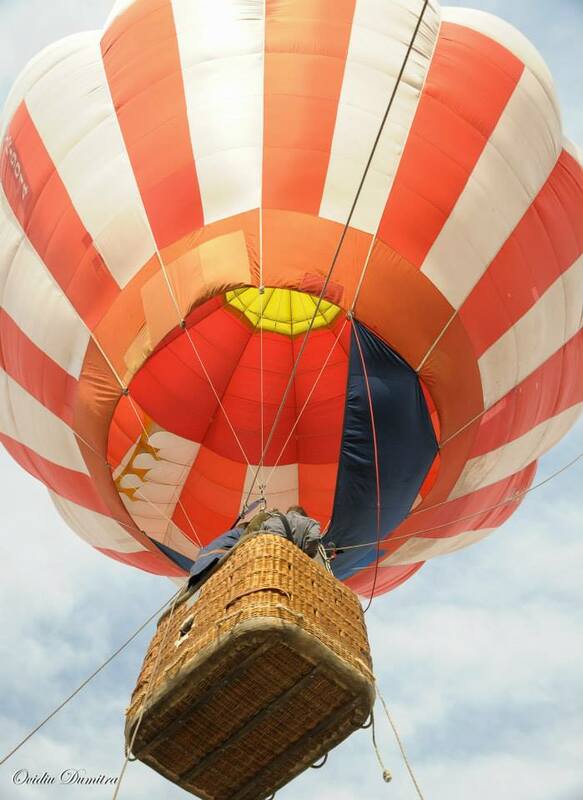 The flight with the hot air balloon is only possible when weather conditions allow. We can have 2 flights in a day, morning at dawn or in the evening at dusk. For a flight in maximum safety conditions, the wind speed can vary between 1 to 5 m/s. The height usually reachable for a flight is around 300 meters.